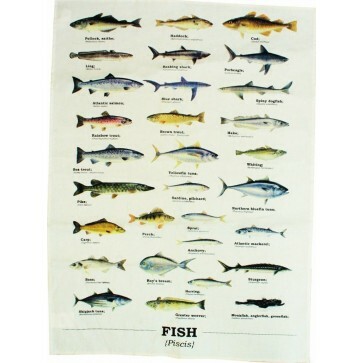 This quirky, 100 % cotton Tea Towel is printed with a diversified school of fish. Makes a fun gift for anyone who loves fish - either to catch, cook and/or eat them! 19.7 x 27.6 inches. 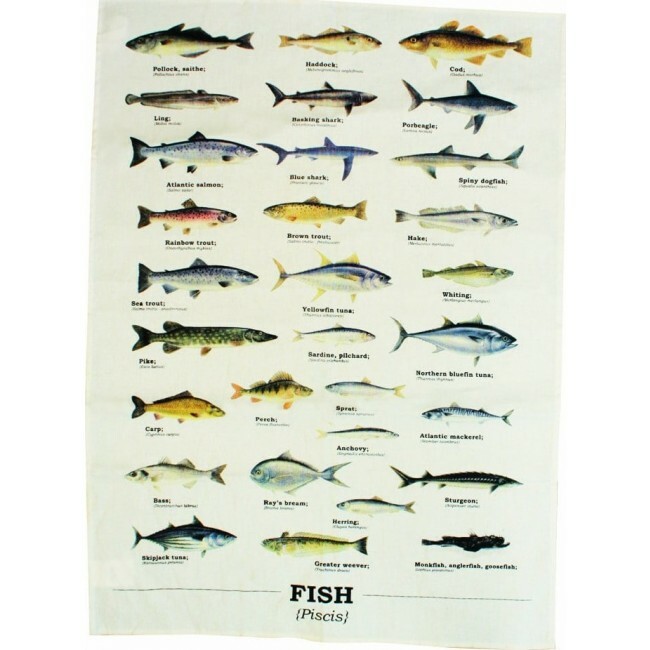 This quirky, 100 % cotton Tea Towel is printed with a diversified school of fish as taken from the Scandinavian Fishing Year Book and therefore makes a fun gift for anyone who loves fish - either to catch, cook and/or eat them! 19.7 x 27.6 inches.